THE GOG BLOG by Rory Spears, Editor and Director of Content. On the 18th hole of the new DuPage Golf Course renovated by architect Greg Martin. Follow Rory on Facebook, Linkedin and Twitter @GogBlogGuy. 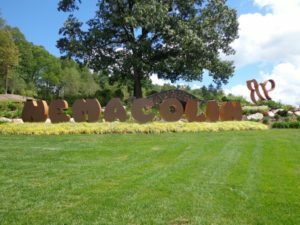 If you are the way to Madison Wisconsin, or beyond to play some golf, a recent trip to the Wisconsin Dells showed that there is some great golf even before one gets to Madison. South of Madison and North of Beloit is the town of Janesville. 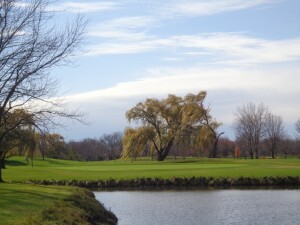 On the south end of Janesville next to the cities airport is a sporty golf course call Glen Erin. This Par 71, 6,849 yard golf course has everything a golfer could ask for, and is a fun course to play. So says the course architect Greg Martin, who is currently renovating the course formerly known as Oak Meadows in Addison. 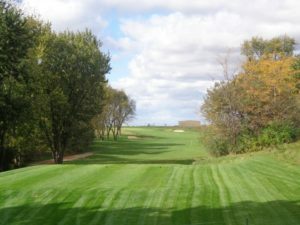 At Glen Erin Martin has taken a piece of land that is mixed with trees and a wide open terrain next to the airport, and turned it into a fun but challenging round of golf. The 424 yard par 4, 12th hole at Glen Erin golf club. Where Martin had some wooded area’s to work, he carved out some nice tree-lined fairways. Closer to the airport, there was some but not much dirt moved, and rolling fairways with bunkers and prairie grass was shaped in to give that area of the course an Irish links style look. The No.1 handicap hole is the tenth hole that can play 589 yards from the tips. Once you split the woods with your tee shot, there are still two solid shots a golfer must play to have a chance at par or birdie. Handicap 18 comes early in the round at the par 3, 2nd hole. But don’t let handicap 18 fool you, it’s a hole that can play 225 yards from the back tees. The par 4 first hole at Glen Erin requires a straight tee shot on your first play of the day. The front nine has more of the open links style holes, and the back nine has more of the wooded holes. Holes 6,7 and 8 wrap themselves around the driving range that has plenty of space for golfers to hit just about any shot they want, including the long hitters who want to pound the driver. The clubhouse is not big, but it’s cozy with a popcorn machine near the bar. So the next time your headed up to Wisconsin to play one of the big resorts, or courses that host U.S Opens, why not play one course that’s designed to test you game, but lets you enjoy the game as well. 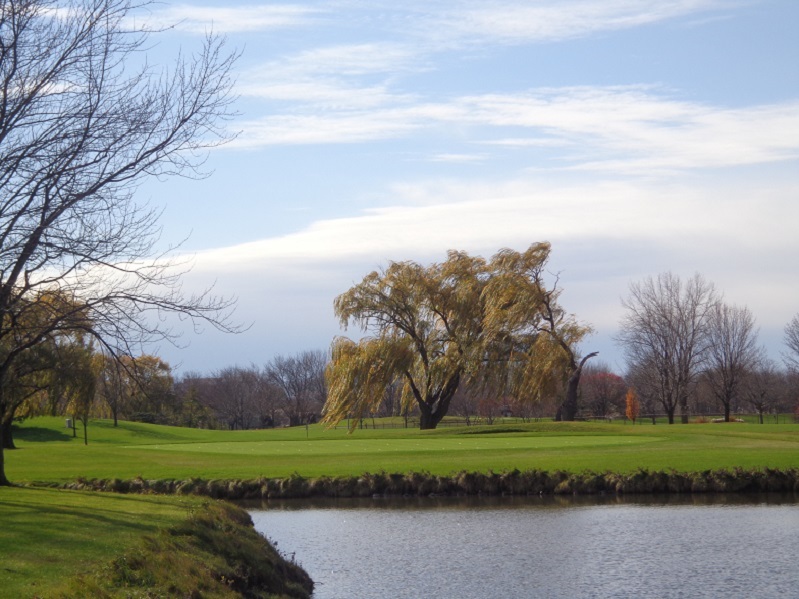 Play Glen Erin Golf Club in Janesville. For tee times or more information, see Gleneringolf.com or call (608)-741-1100. THE GOG BLOG by Rory Spears. Editor and Director of Content. Follow Rory on Facebook, Linkedin and Twitter @GogBlogGuy. On the 6th hole at Wild Rock Golf Club Wisconsin Dells. These days architects Dr. Michael Hurdzan, and Dana Fry are getting a lot of credit for their work at Erin Hills Golf Club in Erin Wisconsin. 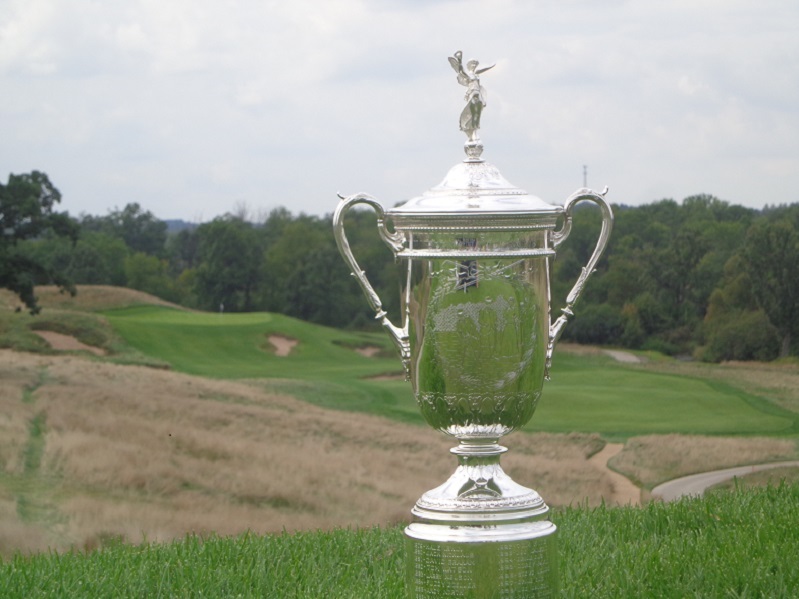 With the 2017 U.S. Open coming there in just 8 months, those who have not taken notice of this property before, are doing so now. 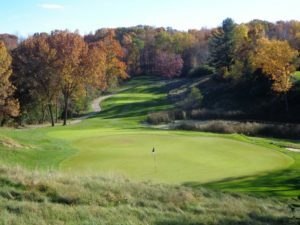 But the work of Hurdzan & Fry did not stop at Erin Hills and did continue in the Wisconsin Dells area at the Wild Rock Golf Club. Wild Rock is part of the Wilderness Resort, that calls itself the largest Water Park Resort in America. The drive up to Wild Rock is about 2 hours and 40 minutes from Chicago, much less from places like Rockford, Milwaukee and Madison. The view from the backside of the Par 3, 9th hole at Wild Rock. Wild Rock has some interesting looks to it, and it’s a great golf course. Maybe it’s not the most walker friendly course because there is some distance between holes on occasion. There is even a bit of a drive to the first tee, but it’s a pretty ride in the cart so sit back and enjoy. Some of the rides are due to changes during the design of the course to when it actually opened for play. 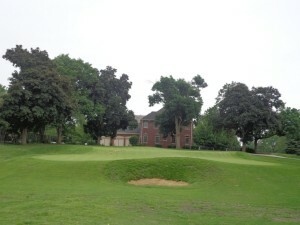 The current clubhouse does not sit on it’s original planned location, neither does the driving range. The fifth hole was supposed to be the 10th hole at one time, but in the end none of that matters. It all worked out and the golfers are enjoying the finished product. Of course Wild Rock has a little Wisconsin feel to it. Here the backdrop to the Par 4, 16th hole. The opening holes give the golfer a chance to settle into their game, with friendly wide fairways and greens that are not overly severe. 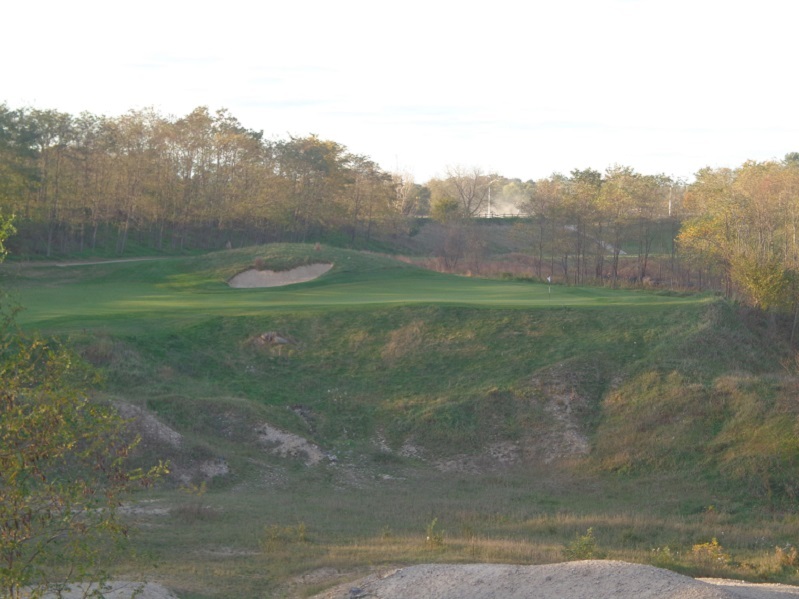 Depending on which tee boxes you are playing, there is a bit of a carry over a ravine on the second hole. But while it’s a challenging tee shot, it’s a fun one as well. The fun does not stop on the second hole and it only gets better as you move forward. 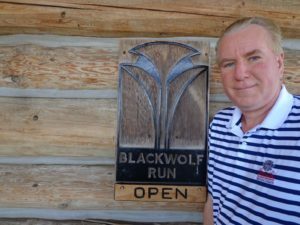 Which is something that makes Fry proud, he calls Wild Rock a fun golf course and depending on what you like about golf, you might describe the Wild Rock Golf Club as a little wild itself. The course sets up as one that would be a real enjoyable place, to hold a scramble format tournament on. The Par 3, 15th hole is one of the most photographed holes on the course, it requires a tee shot that can carry a small quarry. The elevation change comes into play on the 6th hole (see above photo). The view from the top of the 6th tee box on a clear day can range over 30 miles. Elevated tee shots then follow on holes 7,8, and 9. The par 5, 10th hole requires an uphill tee shot, from an elevated tee box. Starting on 11, the course still offers elevated tee shots as the course slowly works it’s way back down to ground level. The elevation change at Wild Rock is something that Wisconsin is not supposed to be, so much for the state being nothing but flat farm land. Hurdzan and Fry created five different tee boxes, from five different locations at different angles to play the par 3, 15th hole that plays over a small quarry. 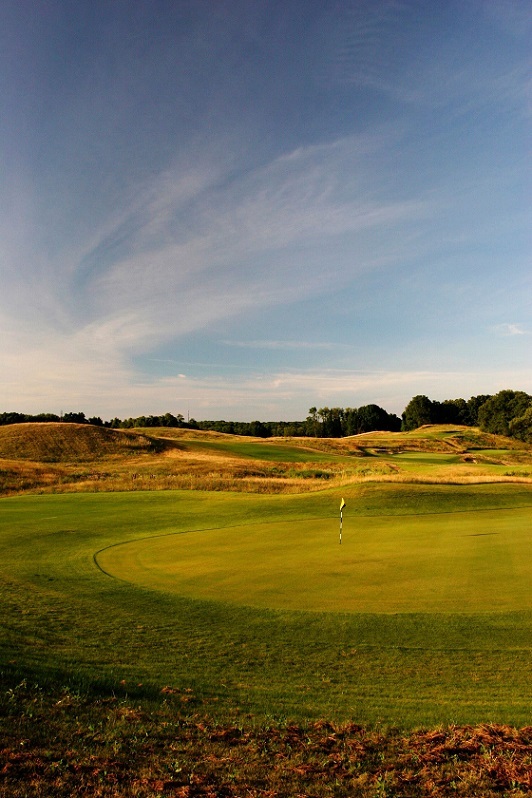 The 17th hole is a great short par 4, only 356 yard from the tips, with a downhill fairway the last 130 yards in. Fire away big hitters but watch out for the small pot bunker that guards the left side of the green. If your out on the course at the right time of the day or year, you might get some visitors. The course is home to plenty of deer and some wild turkeys. You can then drink some Wild Turkey in the 19th hole that has a nice view of the driving range, after your round. To learn more about Wild Rock, click here to hear our interview with head golf professional Josh Glendenning. Wild Rock Golf Club is part of the Wilderness Resort. The resort has plenty of rooms in it’s lodge with pools, or you can stay in the larger villa’s. Rooms are very comfortable with large beds and hot tub whirlpools, that do feel great after a round of golf. While there are several places to eat on property, one should enjoy at least one meal in the resorts Fields Premier Restaurant and Steakhouse. Fine dining not over priced, in a relaxing atmosphere that can be enjoyed by all. You can take a shuttle over from your room and never need to drive after enjoying a wide variety of some of Wisconsin’s finest beers. Golf season is not over. There is still about three weeks left to play Wild Rock before Mother nature will close up the course for the winter. 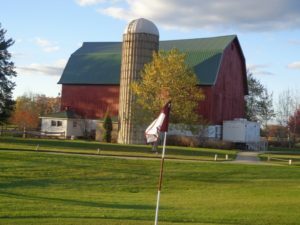 For more information please visit WildRockGolf.com or call (608)-253-4653. You can also visit online WildernessResort.com or call (800)-867-9453. On social media you can follow Wilderness Resort on Facebook, Twitter or You-Tube. 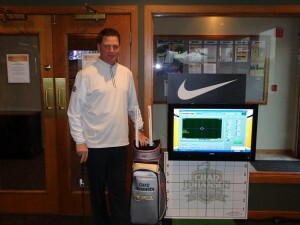 The Perfect putting Aid by Chad Johansen, see PerfectPuttingAid.com. The Clubhouse at Arcadia Bluffs, where architect Dana Fry is building a second course to open in 2018. THE GOG BLOG by Rory Spears. Editor and Director of Content. 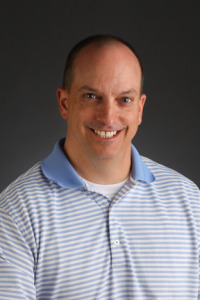 Follow Rory on facebook, linkedin and twitter @GogBlogGuy. On the 18th hole at the new DuPage County Forest Preserve District Course. The new phase of the golf course formerly known as Oak Meadows is about to begin. Oak Meadows is gone, the signs are down with the name. Director of Golf Operations Ed Stevenson hopes the confusion will be too. Confusion ? Well when you have two courses both with the name of Meadows in it, and one course is on Addison Road in Wood Dale, and the other on Wood Dale Road in Addison you kind of get the idea. New ERA, new name. As you might guess many folks are submitting their idea for what the new name should be. But the DCFPD board will go forward and find a name that works within the bylaws of the district. I even entered my two-cents worth and tossed this out for discussion. The Links at Preservation Point, that runs alongside of Corridor Creek. You see the newly redone Salt Creek looks like a beautiful corridor through nature, and who needs “anything salt” running through a newly designed Greg Martin golf course. Save the salt for your fries and wings on the deck of the new clubhouse that should open in 2019. The tree removal plan has opened up a nice corridor of nature along the restored creek area. As for the name Preservation Point. What the DCFPD has done is to preserve a piece of property that was at a point where something really had to be done to stop the reoccurring flooding issues that plagued the golf course and the surrounding area. The preserve is located at a point between multiple communities, and the DCFPD had reached a point where they grew tired of spending public money to constantly clean up the mess left behind by all the floods. 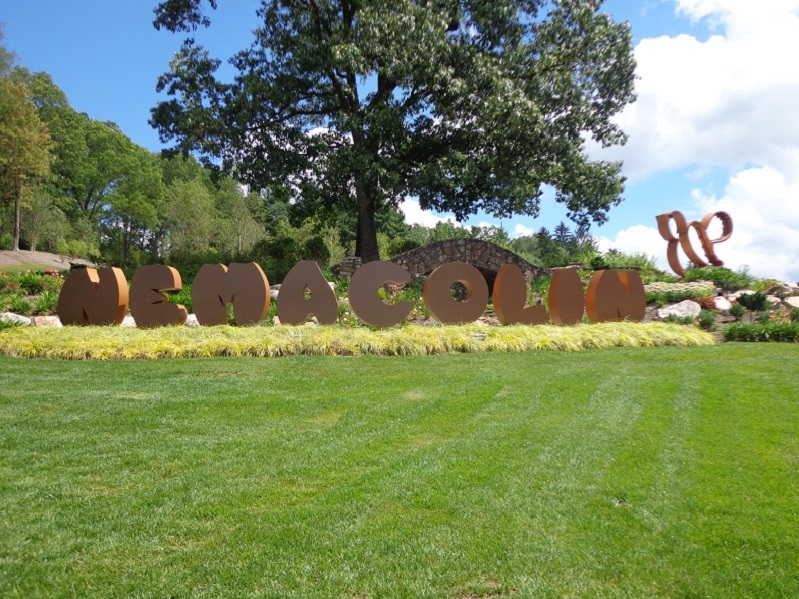 I’m not sure what the name will be when the naming decision is finally made, but I’m sure it will be something that both the general public and golfers will like, or at least most of them anyway. Doesn’t seem like you can please 100% of everyone on anything these days. I spoke with architect Greg Martin this weekend who joked his work is done after 6 years. But it really isn’t, as he will be checking on things as play begins, and then it will be determined if any tweek’s to the course are necessary. It’s all about the grow-in process now, golfers should keep their fingers crossed for as many warms days as possible between now and the end of the year. That will speed up when the course opens in 2017. Stevenson is hopeful for Memorial Day weekend, but it could be a few weeks later if Mother Nature delivers a harsh winter. I think along with Cog 4, Mistwood, Highlands of Elgin, Pine Meadow, Cantigny, Mt. 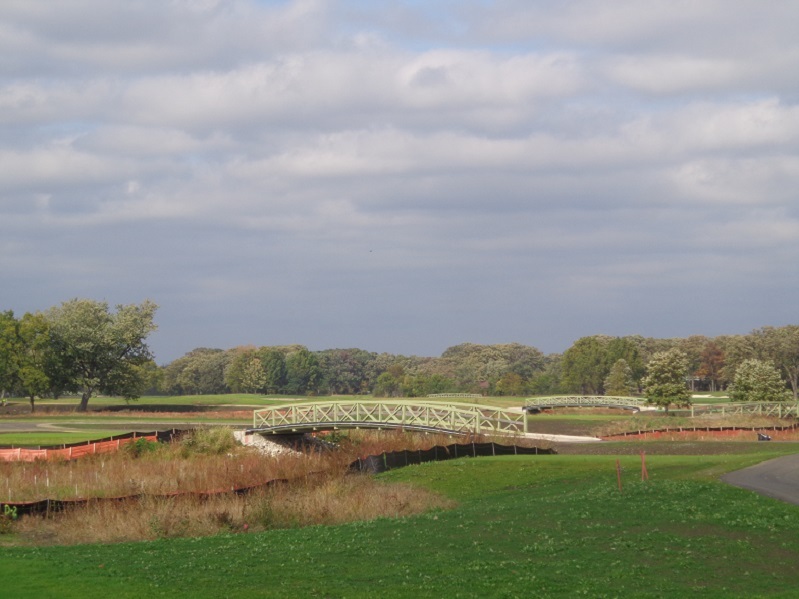 Prospect, Arrowhead and a few others that have made recent improvements, that this new course will be among the best public courses in the Chicago area. In the meantime keep it here for more on the new DuPage County golf course, formerly known as Oak Meadows as it develops. A NEW COURSE in the city by South Shore. I won’t say it won’t happen, but it’s hard to believe that this will just roll forward without issues. The Chi-Tribune keeps pumping this, but there are many obstacles to overcome. Hey if George Lucas and Star Wars can be run out of the city, so can a golf course. Where would the money come from to pay someone like Woods who would have his hand out for big check, we will hear rumors that he will do it for free..don’t bet on it. The early feedback on courses with his name on it, are at this point nothing special. But that doesn’t mean that can’t change. LAST WEEK, I went North to Wisconsin to see Wild Rock by Dana Fry and Dr. Michael Hurdzan, stay clicked on for my story on that. Titleist has launched a new Driver called the 917, I hear great things, more to come on that soon. TWO of the FOUR PARTS of Wilson’s Driver vs Driver have been shown on the golf channel, it’s a good watch if you haven’t seen it. I can’t wait to see what the winning driver will look like, and how Wilson Staff player Kevin Streelman will use it on the PGA Tour next year. This winning driver goes on sale to you starting on Black Friday next month, in time for the holidays. THE GOG BLOG, by Rory Spears, Editor and Director of Content. Follow Rory on Facebook, Linkedin and Twitter @GogBlogGuy. On the 6th hole at Wild Rock Golf Club designed by Hurdzan and Fry. There is more good news from the golf industry, that continues to grow in the right direction. The news comes out of Michigan, where the owners of Arcadia Bluffs have decided to build a second golf course. Work has started already as the property is being cleared of trees that need to be removed. The main work will start next spring when crews and architect Dan Fry start putting the Master Plan in place. 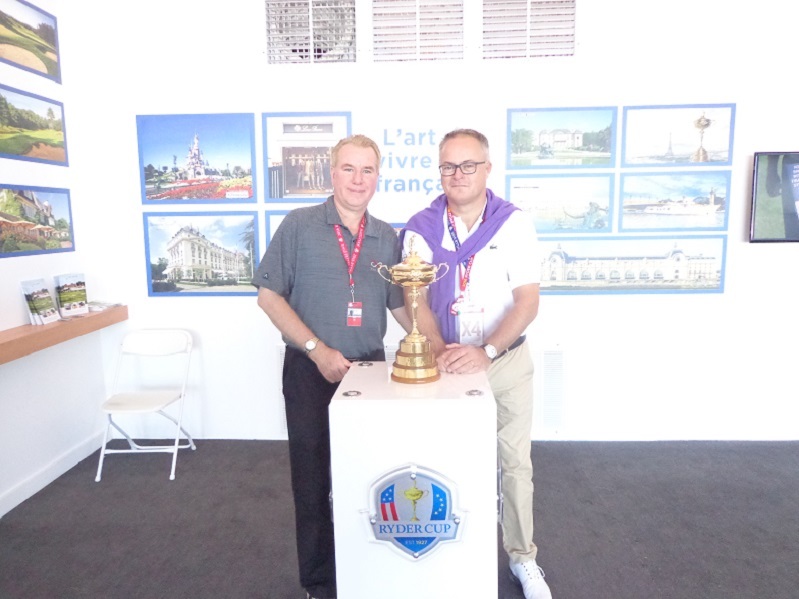 The hope is for the course to be open in late summer of 2018, when it does open the Arcadia area should have two courses that will attract golfers from everywhere. The clubhouse at Arcadia Bluffs in Arcadia Michigan. 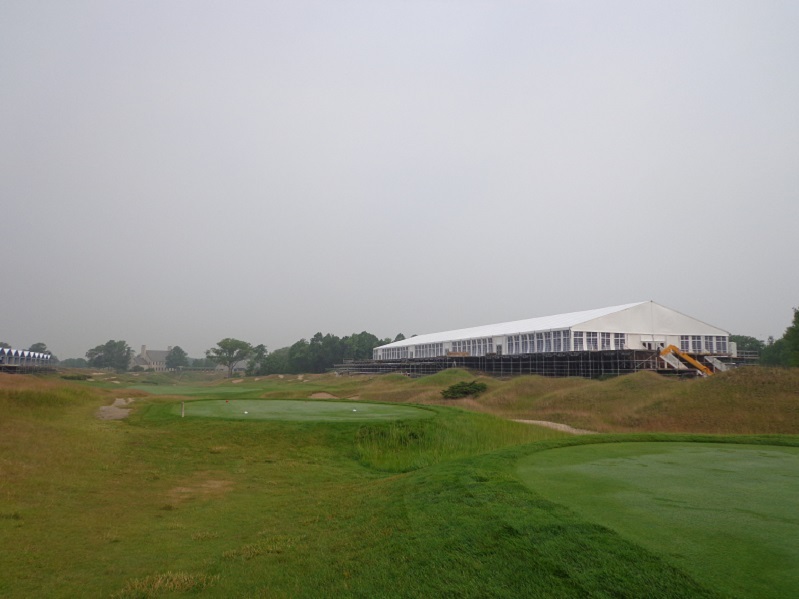 The new clubhouse will not be much different than the current one at Arcadia Bluffs, and it will be one of the first things you see when you arrive on the new property. Which by the way is almost 1 mile south of the current golf course and it will be on the other side of the street you take to pull into Arcadia. As a result the new course will be called the South Course at Arcadia Bluffs. the style will be different that Arcadia and there will be almost no trees and no holes on the water. Yes a different look that’s for sure. The new location is for the most an apple orchard, but soil is sandy and has enough elevation change for some exciting golf holes. 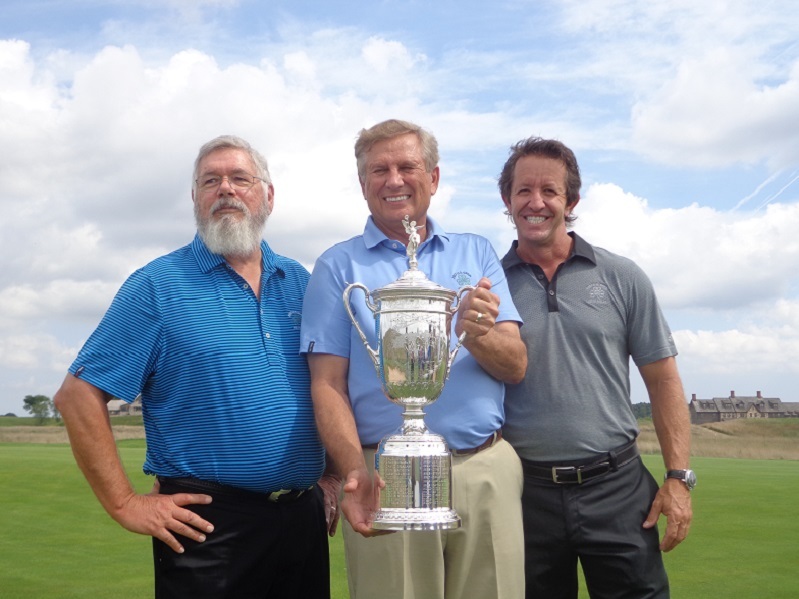 Architect Dana Fry (right) along with Golf Digest writer Ron Whitten (L) and Dr. Michael Hurdzan with US Open trophy (M). Fry is excited about having just over 300 acres to work with, and will have parts of this new design, look like an old design. While squared off tee boxes are not something new in recent designs, and or renovations, squared off greens are. 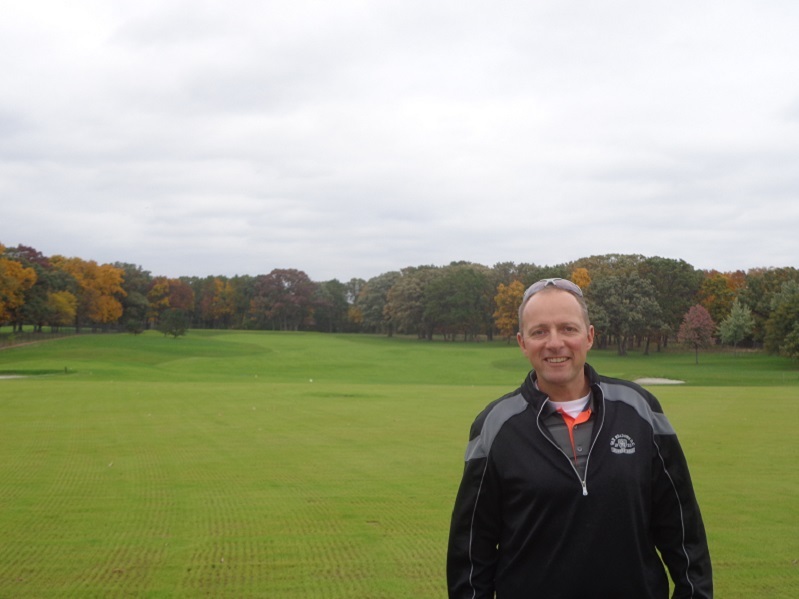 Steve Smyers did a few of them on his recent renovation of Butterfield Country Club in Oak Brook, but Fry sounds like that concept will showcase itself much more in new design. 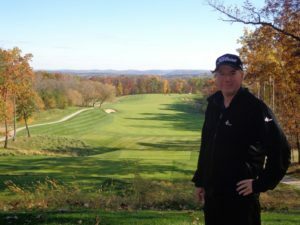 Click here to hear the Interview with Dana Fry about the new course at Arcadia Bluff in Michigan. 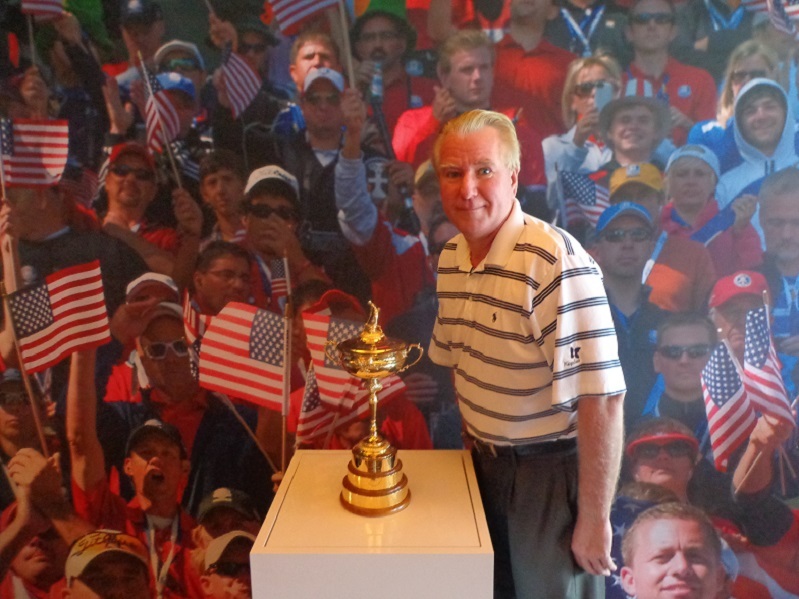 During the interview Fry also talks about Erin Hills and the growing of golf in Wisconsin. Stay clicked in for more news as it happens with the building of the new course at Arcadia Bluffs. THE GOG BLOG by Rory Spears, Editor and Director of Content. Follow Rory on Facebook, Linkedin and Twitter @GogBlogGuy on the 18th hole at a new course in Addison. If your wondering about what to look forward to in 2017 on the local golf scene, well look no further than what’s happening in Addison, with the renovation of the course formerly known as Oak Meadows. That’s right Oak Meadows is done, and when the property reopens there will be a new name, that name has still not been selected by the DuPage County Forest Preserve District. Earlier this week BIG 3 partner Len Ziehm and I toured the renovation project with the Director of Golf Operations Ed Stevenson. Stevenson has spent countless hours since the fire in 2009 burned down the clubs clubhouse, and got him and the county thinking about how to totally restore the property. The name is down, Oak Meadows is no more. The new name has not been selected yet. On July 7th of last year the bulldozers started turning over the sod, and work was started on the area of Salt Creek, that has flooded the golf course and the surrounding properties on many occasions. The 288 acre parcel of land will have a new direction come 2017, and I don’t just mean the golf holes and the way the water is flowing in Salt Creek. The golf course will be new, an the walking or biking track around the property will be as well. The clubhouse will not be ready when the course opens somewhere between Memorial Day and the 4th of July, the exact date won’t be announced until it’s determined in the spring how harsh Mother Nature was to the newly planted grass over the cold winter months. Welcome to the first hole, kinda looks like the former first hole, with a little more elbow room off the tee. 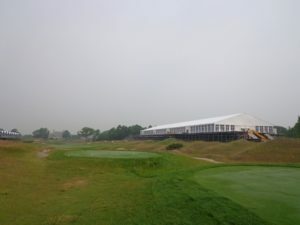 But according to Stevenson progress is being made on the clubhouse, DuPage did put out a request for applicants or in this case architects or their firms to apply for the job. While the golf course had over 20 architects apply for that job, the clubhouse project had 19 applicants apply. That field has been narrowed down to a short list, and county is now moving forward in discussions with those finalists. The hope is that the clubhouse will be open for use by 2019. The project much to the surprise of some, is that this restoration project is not all about golf. But it will show how golf can serve the needs of the community. Architect Greg Martin who is heading up the golf part of the project has said from Day 1, this is a project with a lot of moving parts. Martin was sure correct about that. When it’s all said and done, the project will run close to 16 million dollars. But only just over a third of that figure is for golf. The clubhouse will be rebuilt on the site of the old clubhouse, it will have a deck where golfers will be able to view the course or watch other golfers still out playing. 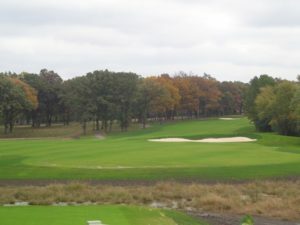 The Par 5, 5th hole at the new course, formerly known as Oak Meadows. While a few of the holes will look like the old holes, there will be some new holes. Stevenson says in some ways, there are 18 new holes and he is correct. 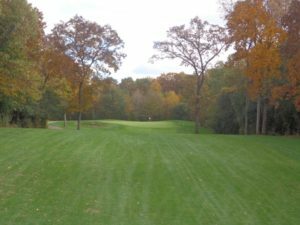 But several of those holes will give the golfer the feeling of playing the old Oak Meadows or Elmhurst Country Club if you go back that far. If you are looking forward to playing some of the holes that had a bunch of trees you will find them. If you are looking for a little more elbow room off the tee, you will find that as well. Yes some of those pesky trees are gone, and while Stevenson did not have an exact number that have been removed, environmentalists are thrilled with the kind of trees that have been removed, along with damaged trees and ash trees that have been infected with the Emerald Ash Borer disease. Ed Stevenson stands on the new natural bent grass tee line, that will be favorite of golfers needing to hit a few buckets. All the work, has not just been on the golf course and the creek. The practice area’s have been enhanced, with a larger tee line, short game area’s and putting green. There will be a private lesson and practice area now on the back of the range, just to the right of the first green. One hole that golfers did enjoy when it wasn’t under water, was the first island green in the country. The par 3, 16th hole. That hole had to be eliminated as part of the new routing, which has taken the 27 hole facility and turned it into just 18 holes, with the Maple Meadows East nine now incorporated into the new routing. 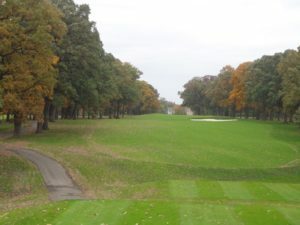 Stevenson says the new course will incorporate the properties history into the current design, Ben Hogan’s win in the 1941 Chicago Open will not be forgotten, and neither will the former 16th “island” green. All of us as golfers can hardly wait for the finished product. As someone that has played most of the Chicago area’s public courses. I can say this new design will rank the course “formerly known as Oak Meadows” in the top few public courses in the area. THE GOG BLOG by Rory Spears, Editor and Director of Content. Follow Rory on Facebook, Linkedin and Twitter @GogBlogGuy. Wearing outerwear from the Carnoustie Collection. With the holidays approaching it’s time for you to visit the outerwear and sportswear collections from some of the major golf apparel companies. More and more of the options allow you to make selections that you can not only look good in on the course, but off of it as well. So if your wardrobe needs an upgrade or the members of your favorite foursome do, now is the time to explore your options. Come 2017, look better, play better, it’s the total package, and one you won’t regret. CARNOUSTIE SPORTSWEAR Debut’s it’s Men’s Collection for 2017. The full line of Performance Knits, Performance Outerwear, and Waterproof styles, and that’s not all. Mancillas adds that Carnoustie outerwear has a growing following since it’s 2014 introduction to the market. Carnoustie uses only top grade micro poly with the highest quality workmanship, and Carnoustie customers have taken notice. New for Spring of 2017 is a chest stripe vest and shoulder stripe 1/4 zip pullover. These designs should wear as a perfect complement to the knits. 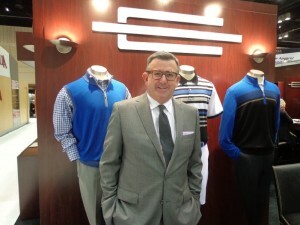 Carnoustie CEO Marshall Mancillas is excited about what’s new for Carnoustie Sportswear in 2017. For more information and details see Carnoustiesportswear.com. Antigua’s Spring of 2017 colors include the new look Cypress Green. Antigua a leading brand in the golf apparel world has announced it’s Spring Line for 2017. Sean Gregg, Antigua’s Vice President of Product Development and Marketing Support, says it’s worth your time for a wardrobe update. there is almost no comparison between today and what you liked over past decades. Gregg’s recommendation, check out the new stuff, touch it, feel it, wear it, and play in it, to really get a feel of this inherent value. While Antigua has made large strides in fabric and function research, you can’t look at at Spring of 2017 without noticing the advancements in their use of colors. The bright colors that include names such as, Cajun, Cabana, Cypress, Mulberry, Marmalade, Harbor and Pineapple are among the options of new brighter colors. Antigua took the new trends and did what they call an assimilated color onto color for 2017. Why just take the neutrality of black, white and grey accents against bright shades that will allow the later to be forefront of any style. Antigua juxtaposed a primary color-against another primary, that created a new avenue of Spring performance and color creation. Cabana royal is set with Cypress green and a color like Harbor navy offsets Pineapple yellow. All of this is part of the Antigua’s Men’s Performance 72 Collection. ARE YOU IN A PERFECTED PIQUE..Antigua calls it a must-have in your 2017 collection. This fabric created exclusively by Antigua is a new level of comfort for the classic polo design and style. STYLE ENDURE and STYLE ADEPT are other new enhanced pique fabrics. Not to be forgotten is style Channel, that has been a newly engineered stripe of color versus color offset. The Antigua 2017 Spring Women’s Collection has been announced. Haven is a style and something that combines sporty an athletic. Solid all-white garment with printing on the color. Rogue is a creative mix of multiple colors, that can be worn with all colors of your bottoms. It might be only 2016, but it’s not too early to check out what your should be wearing in 2017, Antigua on and off the golf course see Antigua.com or ShopAntigua.com You can follow Antigua on Facebook and or Twitter. The Zero Friction Glove, endorsed by Johnny Miller. Newly released data from Golf Datatech shows that Zero Friction a maker of advanced performance golf products, has claimed the 5th position in the market share for golf gloves in America. Iacono wasn’t done there, offering up where he expects his company can be in the next year and a half. Zero Friction released it’s first golf glove, a one-size fits all Compression golf glove, at the PGA Merchandise Show in 2014. In 2015, Zero Friction released it’s Storm All Weather Golf Gloves and a pure 100% Cabretta Leather Glove. 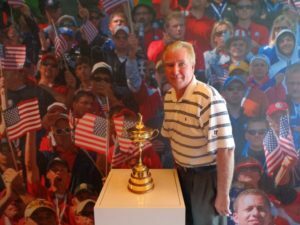 Late in 2015, former US Open champion and NBC golf commentator Johnny Miller joined the company as part owner and and endorser of ZeroFriction. This past August at the PGA Demo and Fashion show, Zero Friction unveiled it’s new DistancePro GPS Glove the first wearable GPS technology on a golf glove. It’s accurate and Powered by Bluetooth, weighs less that half and ounce and sits within the glove-flap. The device is programmed for yardage on over 35,000 courses worldwide. For more information on Zero Friction and the new GPS Glove see Zerofriction.com or you can call (847)-436-4262. THE GOG NEWS BLOG by Rory Spears, Editor and Director of Content. Follow Rory on Facebook, Linkedin and Twitter @GogBlogGuy. 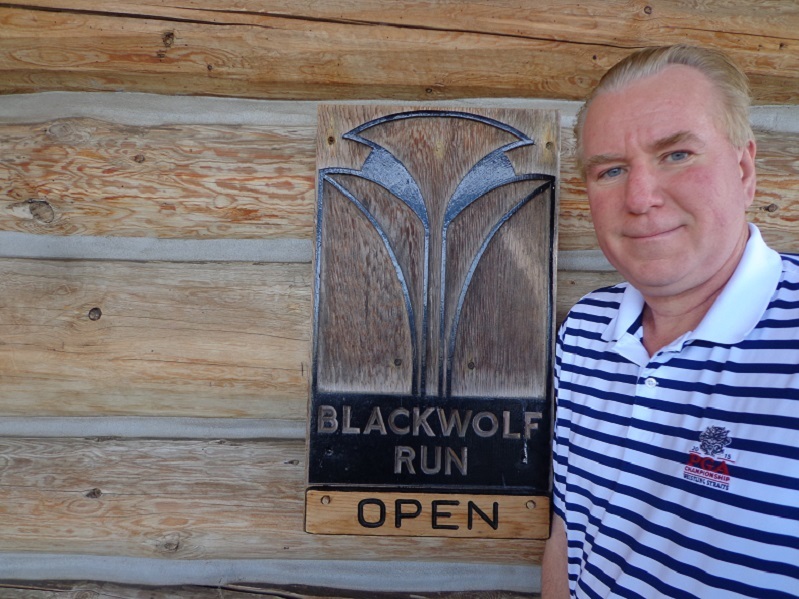 At Blackwolf Run in Kohler. The Fall Golf Season is rolling along, did you get out and play today when the temperatures reached over 80 degrees, even if it did not feel like it with the strong breeze blowing in the afternoon. I would like to say I went out and tee’d it up today, but I did not. However I was on the course all afternoon. 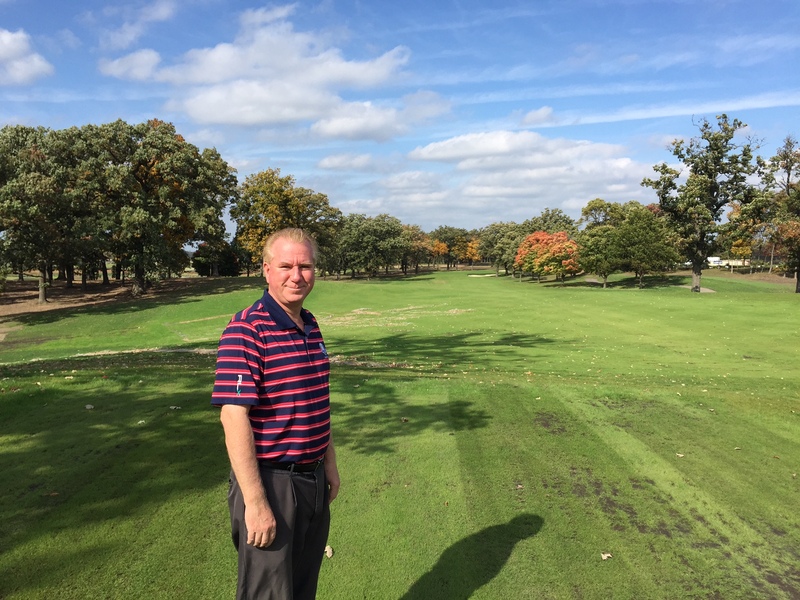 Special thanks to Ed Stevenson of the Dupage County Forest Preserve District for a tour of the course formerly known as Oak Meadows. BIG 3 partner Len Ziehm and I saw all 18 holes and the new practice area’s, a full story comes in the 48 hours right here. Do stay clicked in for all the details. WISCONSIN..what a great time for Wisconsin golf. US Open tickets for the 2017 US Open at Erin Hills are now on sale. Make sure you get yours while you still can, see the USGA website ticket information above for details. WILDERNESS ROCK, have not been there but will be, later this week. Stay clicked in for details. 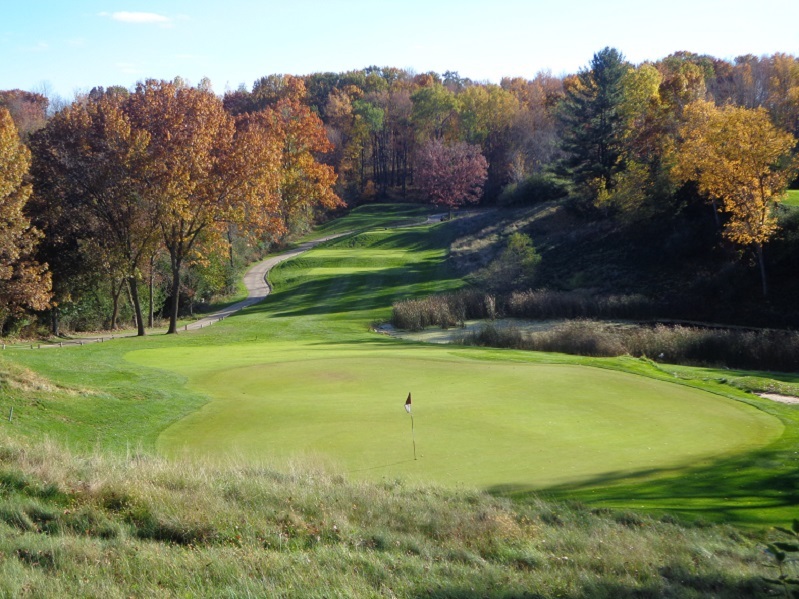 IT’S A GREAT TIME TO VISIT KOHLER, fall is a beautiful season in Kohler, head up and play some golf. Courses should be open for a few more weeks, but MAYBE less than 30 days so act quickly. 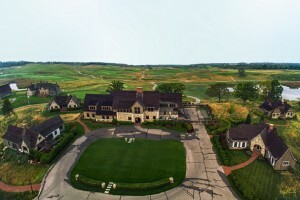 Destinationkohler.com. The final issue of Chicagoland Golf for 2016 has a story on the 2017 NCAA National Championships coming to Jerry Rich’s, Rich Harvest Farms in Sugar Grove. If you not any stranger to how Mr. Rich does business, you know he does things in a big way. 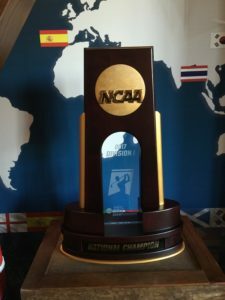 He expects the 2017 NCAA Championships he is hosting next May out on his farm to be no different. You can order tickets already already at NCAA.com/tickets. If you would like to be a bigger part of the championships next May, you can be a volunteer. You must be 18 years old, and you can not be enrolled in high school to be a volunteer. The first 25 people to sign up get a free Rich Harvest Farms cap. To volunteer go to the Rich Harvest Farms website and follow the link on the NCAA Championship page. Chris Charnas and Links Capital Advisors are proud to announce their latest golf course listing the Gambit Golf Course in Vienna Illinois, has been sold to new owners. 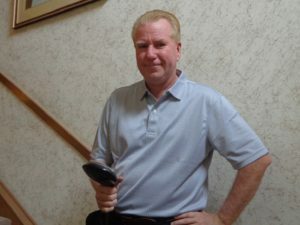 For more information on buying and selling golf properties call Chris at (847)-866-7192. 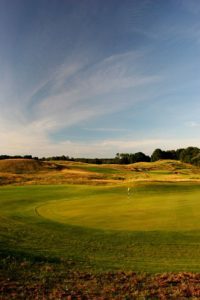 KEMPERSPORTS had 9 properties recently named on Golf Magazines Top 100 Courses You Can Play List. The nine properties are responsible for having 19 courses on the Best in State list. Streamsong Resort in Florida and Streamsong Resort in Oregon has multiple courses on the list. See Golf Magazine for more details. Stolten Brae the 2nd hole, part of the Gull Lake Resort. Stoltin Brae the newest addition to Gull Lake has opened 12 holes for limited play this fall. 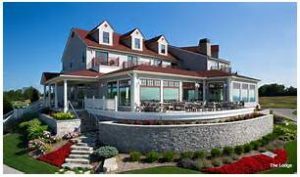 The Southwest Michigan resort feels they have created a design that challenges the golfer without overwhelming them. Vice President and PGA Professional Bill Johnson along with owner Jon Scott and his family, feel the project has turned into just what it was expected it could be two years ago when they hired Renaissance Golf Design owned by Tom Doak. The course when completed will play to a back yardage of 6,800 yards, and to a par of 71. Hole 18 has it’s green near the new clubhouse that includes a bar, outdoor patio and the Blue Stem Restaurant. Gull Lake has five championship 18 hole courses, luxury cottages and deluxe suites. For more information on the property see GullLakeView.com. The famed Pinehurst No.2 Flag got a new home for day. The bet was won by Pinehurst. 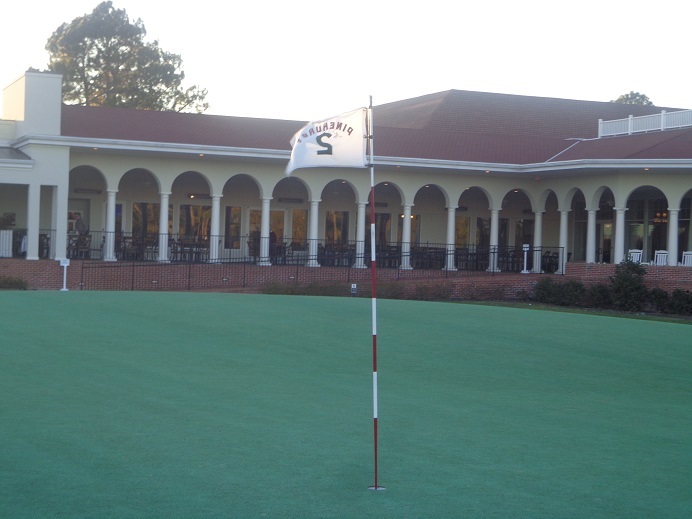 As a result the famed Pinehurst #2 Flag flew on the 18th green of the Old Course in St. Andrews in Scotland. 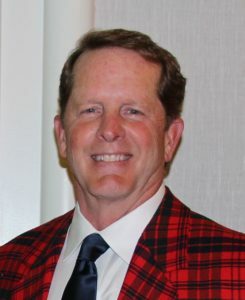 Pinehurst won the bet with St. Andrews when the USA Ryder Cup team won the matches this year over team Europe. If Europe had won Pinehurst would have to fly the St. Andrews flag for a day on the 18th green of Pinehurst 2. Right now Pinehurst has fall golf specials and a great way spend Thanksgiving, visit Pinehurst.com or call (855)-923-7677 for the details. Pinehurst the home of American Golf. The new Oak Meadows is explored by The Gog Blog, stay clicked in.